Many people visit Yemen to see its top tourist attractions every year. Situated at the South-bend of the Arabian Peninsula in South West Asia, Yemen is a part of the countries of the Middle East. Saudi Arabia is on its north, Oman to the East, and Red sea to the West. Yemen has more than 200 islands it takes pride of. One of them is Socotra – the largest among Yemen Islands just 415 km off the coast of Somalia. It is the sole republic of the Arabian Peninsula. Socotra Island has a very diverse flora and fauna that can only be seen in the island. Only here will you see a flesh-eating centipede and countless varieties of reptiles and birds. A must-see sight here is the Dragon’s Blood trees. 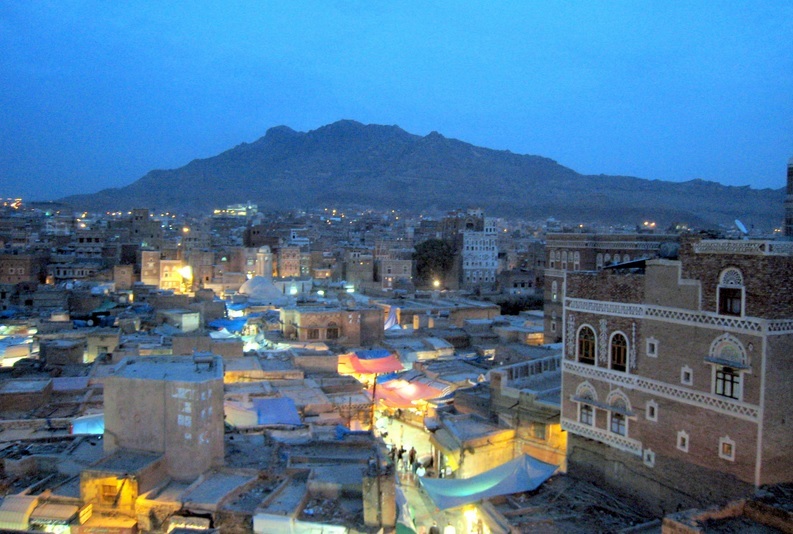 The capital of the Republic of Yemen is Sana’a. 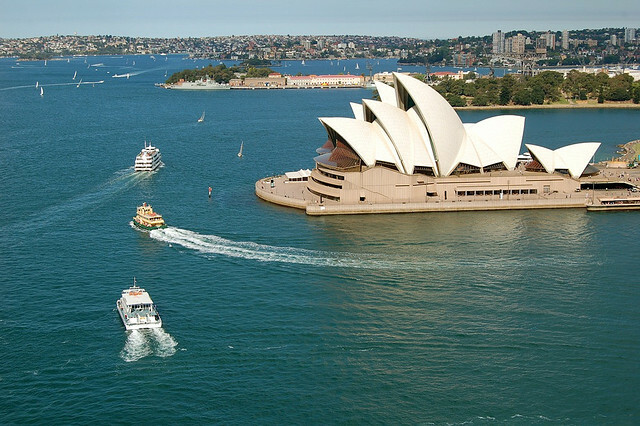 This city is a second century city listed among the World Heritage sites by UNESCO. If you are in Yemen, you will feel like you are in a biblical era because men and women here still wear traditional clothes and houses are made of rammed earth and look like pictures of biblical or Koran houses hence, including it in the top tourist attractions in Yemen. Shibam is another notable city to visit due to its amazing landscape holding numerous tourists around the year. A majestic group of clay and stone as well as wood buildings is its main attraction. Shibam is also fondly called as the Manhattan of the Desert and is considered to be the first city of skyscraper buildings in the whole world with some structures having a height of eight stories. Though this is not an archaeological site, Shibam is a living city. Wadi Dhahr is also an ought-to-see valley abundant with vegetables and fruits. In 1930’s, Imam Yahya’s palace was erected here on top of a high rock that is why it’s called the Rock Palace or the Dar Al Hajar. Aden City is a magnificent city which is among the top tourist attractions in Yemen. It is where Aden Museum is situated. It is also always visited by tourists because of its fun-filled water parks, lagoons, and bird watching activities. There are also a number of beautiful hotels and resorts here which are perfect places for leisure and unwinding. There are just a lot more top tourist attractions in Yemen to experience. For souvenir hunting, visit Kawbakan City and Souk of Beit Al-Faqih. 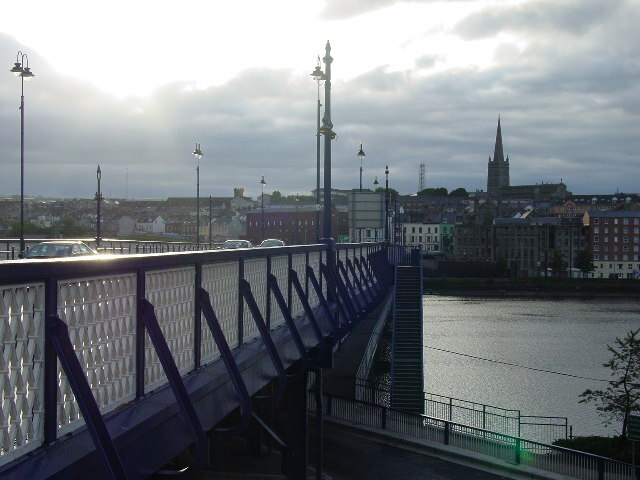 The Shihara Suspended Bridge is a 17th century bridge and its Sunday Market is popular to tourists. The Rock Art of Sa’da has ancient drawings and texts that were written by nomadic tribes which date back about 4,500 years ago. 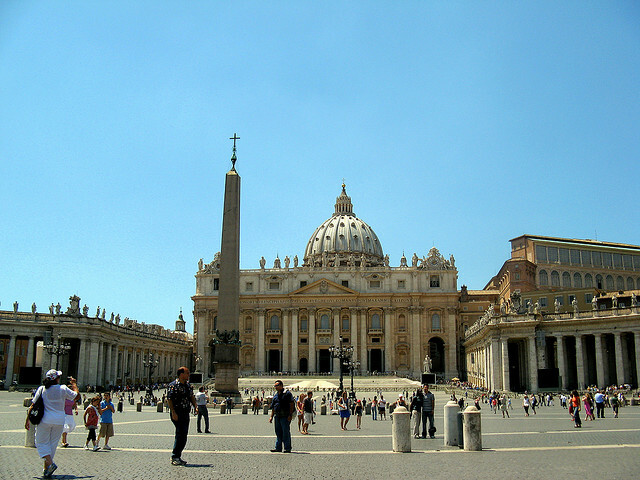 The top tourist attractions in Vatican City are an interesting set of landmarks that lie in the holiest place of the Catholic faith. Vatican City is located within the city of Rome. It has a relatively small land area but ironically, its size does not immediately correlate with its global influence. In fact, the Vatican City is even one of the most powerful nations in the world nearly equal to the United States of America, China, Russia and Saudi Arabia in terms of its economic importance. The Vatican City remains as one of the most special places on earth because it is a perfectly functional theocracy. It has certain religious authority over the international members comprising the biggest spiritual organization in the planet. While other theocracies fail, the Vatican City remains intact for 2000 years. The Sistine Chapel remains the most iconic of the top tourist attractions in Vatican City. It is located within the complex of the Apostolic Palace, which is the official residence of the pope. What makes the Sistine Chapel so noteworthy is that its interior walls, especially the vaulted ceiling, are decorated with masterpiece paintings of Renaissance history’s greatest artists. Raphael’s frescoes depict the lives of St. Peter and St. Paul in the service of God. St. Peter’s Square is the most popular among the top tourist attractions in Vatican City – popular meaning it is always flocked with visitors from Italy or beyond. Interestingly, St. Peter’s Square is shaped like a key from aerial view, which depicts the inheritance of the apostle Peter as the chief builder of Christ’s church. The St. Peter’s Square is very crowded during special vigils and papal inaugurations, with the latest event about the cardinal from Argentina being elected as Pope Francis I in March 14, 2013. The Casina Pio IV is a famous learning center for the College of Cardinals that runs the Vatican City. Curiously, this patrician villa is divided into three schools according to their special field. The Pontifical Academy of Sciences is a school focusing on pure sciences such as biology, chemistry and astronomy (with the latter integral for the creation of the Vatican Observatory). The Pontifical Academy of Social Sciences is close to the heart of the Catholic doctrine focusing on the global issues that Christian societies face. Lastly, the Pontifical Academy of St. Thomas Aquinas caters to a wide array of academic fields. The Vatican Museums store the chronicles of the Vatican institution. The story of Christianity is written in the documents and codices housed in its libraries. Some of these written texts are highly guarded secrets pertaining to prophecies in the past made by saints. The Vatican Museums also keep and display an extensive collection of relics, especially the types of old weaponry found in the vaults of the Swiss Guard armory. This is the place to investigate Vatican history, whether good or bad. Bright lights and a vibrant city life is one of the top reasons to visit South Korea. But there’s more to this Asian country than neon-laden cities and urban jungles. South Korea has a history that spans hundreds of years and much of its culture is still well-preserved, thanks to the unsuccessful colonization of the Europeans. But despite this, South Korea remains to be at the forefront of technology and entertainment, as K-pop music and fashion is slowly making its way into the mainstream media (some of which are already dominating the US Billboard Charts). So, pack your Delsey luggage, get your passport ready, and get ready to enjoy the top reasons to visit South Korea! Authentic Korean Food. Korean cuisine offers a great variety of flavours, from mild to downright spicy. Choose among some of the most appetising dishes, from mouth-watering bulgogi, traditional Korean noodle dishes, to Korea’s national food Kimchi, a fermented vegetable side dish. Korean cuisines are both healthy and delectable, catering to both vegetarians and meat lovers alike. It is no wonder Koreans have great, supple skin. Natural attractions. South Korea is not all neon-lights and brick and mortar establishments and concrete pavements. It still preserves some of its natural attractions, such as the Jeju Islands (also called the “Island of the gods”, and the majestic views in the Seoreksan National Park. Cultural heritage. 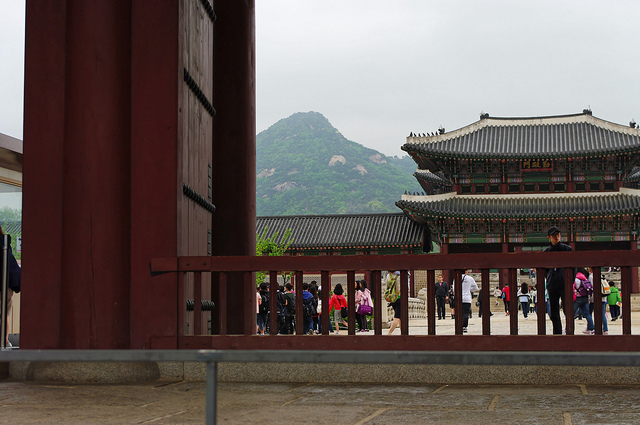 South Korea is home to a great number of UNESCO World Heritage sites. And you won’t even have to go from city to city to discover it. Taking a leisurely stroll along Gyeongju or Seoul (or joining a tour, if you find that more convenient), you will be able to marvel at a great number of old palaces, temples and gates which have a lot of story to tell about the history of South Korea. Bathhouses. One of the top reasons to visit South Korea is their bathhouses. Choose from a great variety of saunas and spas, from milk baths, mud baths or even baths with temperatures ranging from cool to scalding hot. Either way, you are guaranteed a relaxing way to call it a day after touring Seoul or feasting on authentic Korean cuisine in one of the most interesting countries in the world!